Drinking New Orleans, Part 4: Absinthe! If there’s any booze out there that could expect to win the title “most misunderstood spirit,” I think absinthe would be it. Wildly popular at the turn of the last century, banned for a hundred years, re-instated with much hooplah, then promptly dubbed un-cool without most people having tried it, the field has been left to suave-seeming daredevils and cocktail geeks. Yes, there is a certain mystique and sense of ritual built around absinthe — think Bohemians, Van Gogh’s ear, Toulouse Latrec, Oscar WIlde, the communal drip fountain of l’heure verte — but except for its storied past (gin experienced much the same thing in its day), it’s just a spirit like any other. What’s keeping the masses away from the green fairy? Well, the price point, for one thing: you’ll be shelling out about $60, minimum, for a decent bottle. Second is its long-standing ban. Despite modern scientific proof, it’s tough to reverse a hundred years of stigma, pseudo-science, and superstition, though these were, in part, what made the experience of drinking absinthe seem so radical: consuming banned spirits provides a bigger adrenaline rush than drinking those which are perfectly legal. Third, as Jason Wilson points out, the fennel-anise-licorice flavor of absinthe is something that a majority of American taste buds just don’t care for — black licorice, anyone? Sambuca? Ouzo? No? Didn’t think so. Still, absinthe has always had a bit of a home-base in the U.S. — New Orleans. According to David Wondrich and S.C. Arthur, the spirit had immigrated to the Paris of the New World from France and Switzerland by the year 1837, appearing under the name absynthe in advertisements of the day. The French had apparently inherited a taste for absinthe during the Franco-Algerian War (1830-1847) in which the spirit was used to combat malaria (quinine-wielding Dubonnet was invented for the same purpose). No doubt it would come in handy while battling New World mosquitoes. Traditional and optional, but helpful: an absinthe spoon and an absinthe glass, though any nicely-sized piece of stemware will do. Pour the absinthe into your glass. Place an absinthe spoon on top of the glass, and place the sugar cube on top of the spoon. Slowly pour or drip the ice water over the cube and into the glass. 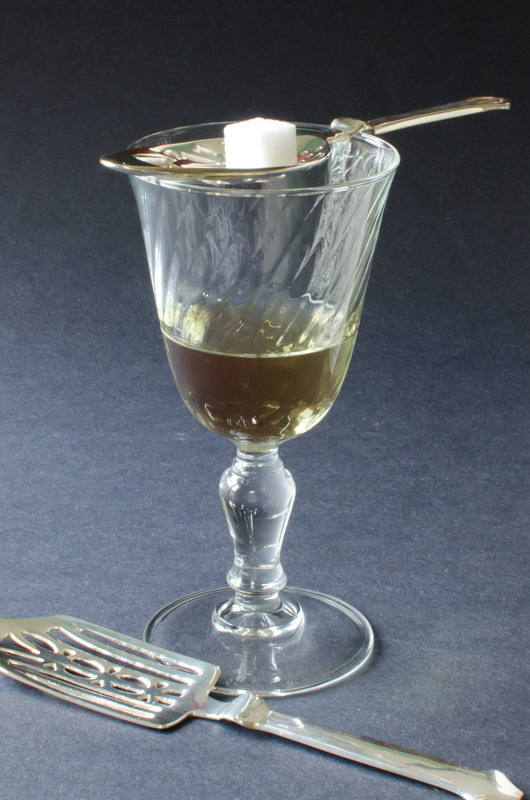 Once you achieved the proper level of dilution — the sugar cube should be nearly dissolved and the absinthe should have undergone its louche, turning milky/cloudy/opalescent — stir in any remaining sugar, remove the spoon, and serve. Some folks like a more diluted glass of absinthe (5:1 water-to-absinthe is usually the max), some less. Also, the sugar may or may not be necessary, depending on the brand of absinthe. 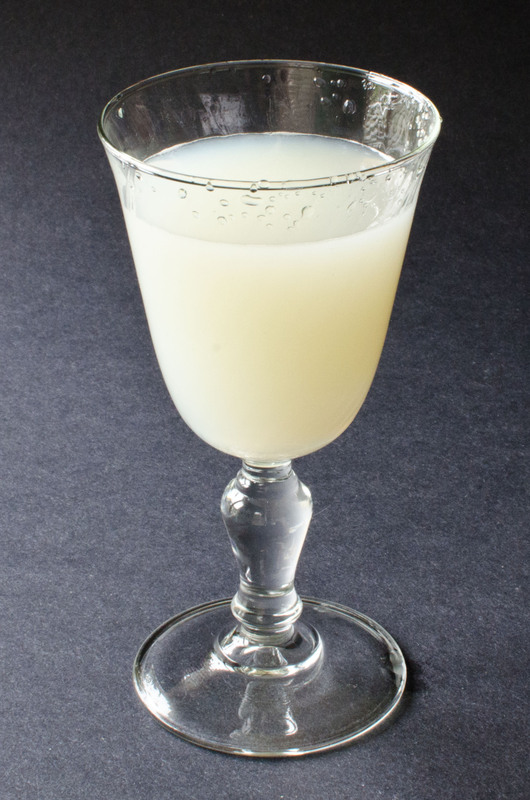 Because of its high proof, few people, if any, drink absinthe straight, so some dilution is necessary — the ice water achieves both dilution and chill, while the sugar can help reduce any bitterness that may be present. Adding ice is always an option, too, though you’ll need less water. For a quick recap and demonstration, look to none other than Jamie Boudreau. 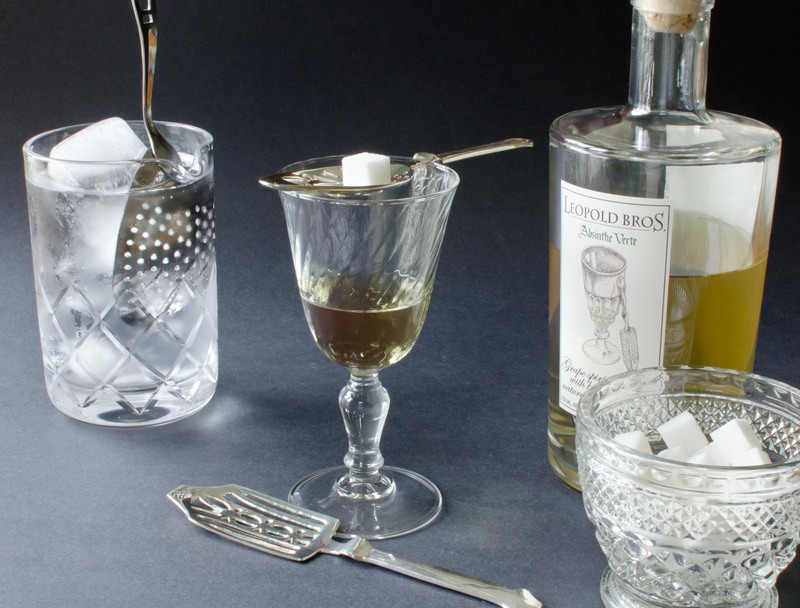 If, however, you’d like a bit more in-depth write-up on the traditional drip method, head over to the Wormwood Society, where they’re serious about the Green Fairy. What the customers came for chiefly was the emerald liquor into which, drop by tiny drop, fell water from the brass faucets of the pair of fountains that decorated the long cypress bar…the marbles bases pitted from the water which fell…from the faucets over the many years they served their glorious mission. During Prohibition, the bar from the Old Absinthe House was secreted away — fountains, countertop, and all — and installed a block further down Bourbon Street. Once the nationwide ban on alcohol was lifted, the traditional absinthe service was revived, albeit with locally-made absinthe substitutes like Herbsaint (absinthe itself was banned from 1912 to 2007). In 2004, the Old Absinthe Bar was returned to the Old Absinthe House, and now you can now properly enjoy an Absinthe Frappé like Ferrér used to make in the 1870s. Fill a small highball glass with crushed or shaved ice. Pour in the simple syrup, then the absinthe, then slowly pour in the water while frappéing with a bar spoon (jiggle it up and down while moving around the glass). Continue the frappé until the glass is frosted. To save time, you may also shake the absinthe and syrup in a cocktail shaker with ice, then strain over fresh crushed ice in a chilled glass, topping with a bit of soda water. I personally prefer the frappé method, as it chills the drink much more thoroughly and effectively than an ice water drip, which ends up leaving the drink fairly mild and, well, “watery.” Neither the frappé nor the drip leave any of the sharp bitterness or alcoholic burn of straight absinthe, but I find the hyper-chilled drink more refreshing. No matter what method you use, any water added serves to “wake up” the absinthe, bringing to life its aroma and flavor. UPDATE — April 8, 2012: Erik Ellestad recently covered the Absinthe Frappé in a nifty little post that includes more of Arthur’s lively quotations and a nice little home video of the “jiggling” method. As Erik mentions, yes, it is very similar to swizzling. A note on anisette: it is a liqueur that is very much like absinthe substitutes, but it is made only from aniseed, and so is lacking in some of the more complex herbal notes typically found in absinthe. Sambuca and Ojén are equivalents; Pastis is flavored with both aniseed and licorice. In the frappé, anisette is used to boost the sweetness of the drink in lieu of sugar, and isn’t particularly necessary (why add another bottle to the liquor cabinet?). If you must have some, Marie Brizard makes a decent one. Keep in mind that if you’re using an absinthe substitute, the extra sweetner will probably not be necessary. Pour the absinthe, bitters, and anisette/syrup into a mixing glass. Slowly pour the ice water into the mixture, watching the louche, then add ice and either shake or stir. Strain into a cocktail glass. So, what is this absinthe stuff, anyway? Like gin, aquavit, and infused vodka, absinthe is a neutral spirit that’s been infused with a variety of herbs and spices — primarily fennel, anise, and wormwood. Absinthe bottled immediately after this infusion is white (blanche, or la Bleue); green (verte) absinthe is so-colored because additional fresh herbs are steeped in the spirit after the initial infusion, turning it green. The controversial substance in absinthe is thujone, a chemical compound found in wormwood (Artemisia absinthium) that can, in large doses, cause muscle spasms and neural damage. Modern testing has demonstrated that pre-ban absinthes contain much less thujone than was supposed at the turn of the last century and that small doses are far from being hallucinogenic or damaging. I should also remind you that wormwood is still used in both vermouth and in bitters (albeit in reduced amounts), so chances are you’ve ingested some thujone with that Manhattan you just drank. For a bit more info, see Natalie Bovis’s (aka The Liquid Muse) interview with Gwydion Stone, co-founder of the aforementioned Wormwood Society and distiller for Marteau absinthe. Still, if you’re worried about it, there are always absinthe substitutes, though I find most of them to be mild, sweet, and relatively unexciting, especially after you’ve tasted the real stuff. Pernod, Ricard, and Herbsaint are the easiest to find, Herbsaint being from New Orleans and named for the French name for wormwood, Herbe Sainte. 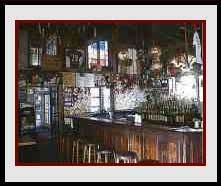 The substitutes carry a much more reasonable price, so you’ll be more likely to find them along the backbar. A bottle of absinthe lasts a long while, anyways, since you’ll mostly being using it to rinse or spritz glasses, with a dash or two here and there…besides, it tends to take over a drink rather quickly. If you need a nice dose of anise flavor in a cocktail, not to mention sweetness, I’d actually recommend the milder substitutes, especially for dessert drinks. Oh, and don’t bother lighting your absinthe on fire, unless it’s cheap “faux-sinthe” from the Czech Republic. Photos by IJL, except where noted. Nice post! It’s wonderful to see an educated post on absinthe and props for mentioning The Wormwood Society! Thanks, Evan. Looking forward to more Absintheur posts! This entry was posted on April 6, 2012 by IJ Lauer in Absinthe, Angostura, Drink Recipe, Peychaud's Bitters, Spirit Information and tagged absinthe cocktail, absinthe drip, absinthe frappe, new orleans.